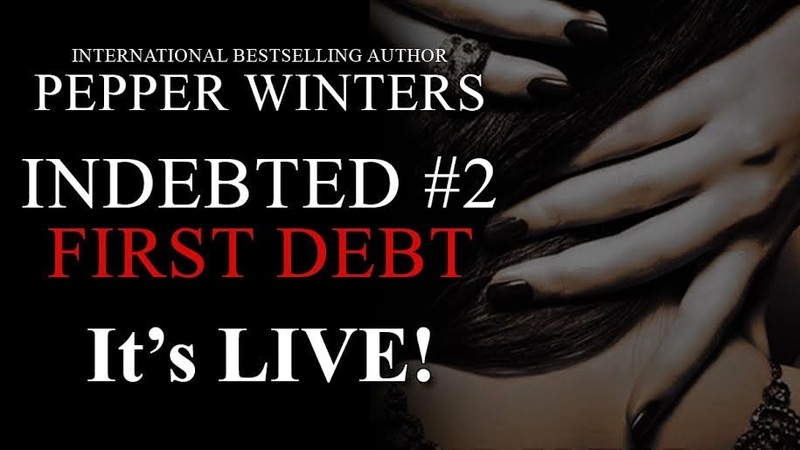 First Debt by Pepper Winter is LIVE! So book 2 in this series started exactly where book one left off (so make sure you absolutely read book 1 FIRST or you'll be lost. Yes, this cannot be started mid-series guys. DON'T DO IT! In this second book, you'll find that Nila seems to become stronger and stronger and Jethro seems to vacillate more and more. She seems to have a more single-minded focus as he seems to be losing his. I love this journey Nila is going on, as sick as that is. Even with everything going on that we cannot tell you because, hello spoilers, the character development in her makes the story even more worthwhile for me. It's interesting that both of them have some epiphanies about themselves in relation to their families; and without spoiling it, both of them are definitely having issues with the roles their families have in their lives. The struggle is real, y'all (at least for them). IT IS. IT IS INSANE, BUT IT IS REAL. Gah, these families are insane. But the story is well thought out, and I can't wait to see where the realization and struggles in what is expected goes as the series moves forward. The series is morphing in my eyes, and I was very, very, very excited about this book. As with the first book in this series, Nila, and now Jethro, have a very conflicting emotions that seem to consume them. It's like watching a tennis match--a very quick one. 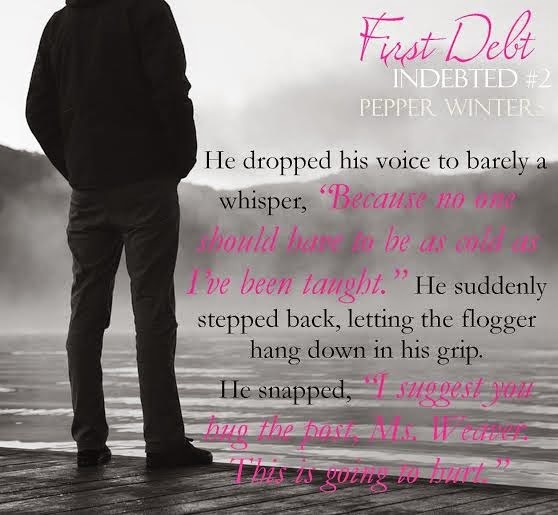 I'll give Pepper Winters credit--she has her characters admit that they're doing it, so it's not a case of the author ignorant of how she's writing them. They are so conflicted. And in that honesty in their heads, we finally get a little bit of information from them as we go. The pace is wicked fast, and I love that. We have to have this hard, passionate drive forward, or I don't think this would work so well for me. I am loving it, but if we also didn't have such honesty in each character's point of view it would be lacking. IT IS definitely not lacking. Other random things: When we got to the 'first debt' scene I was happy that Pepper wrote it the way she did--I thought Nila's reaction was perfect. 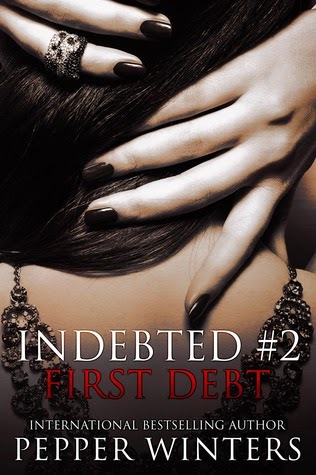 I also am very curious about what these other debts are... And, I'm eager to see how the rest of this story plays out. See, again with such honesty. There is nothing held back. Nothing. Whew. The first book in the series was hard to take but this one, I felt, was one I settled into and read quickly and with less hating of myself for reading it (that first book...the scene where Nila is 'introduced to the Hawks..it's haunting). Yes. The first book, was omigod what have we gotten ourselves into thoughts, but we couldn't stop. And I'm glad. I really enjoyed this book. 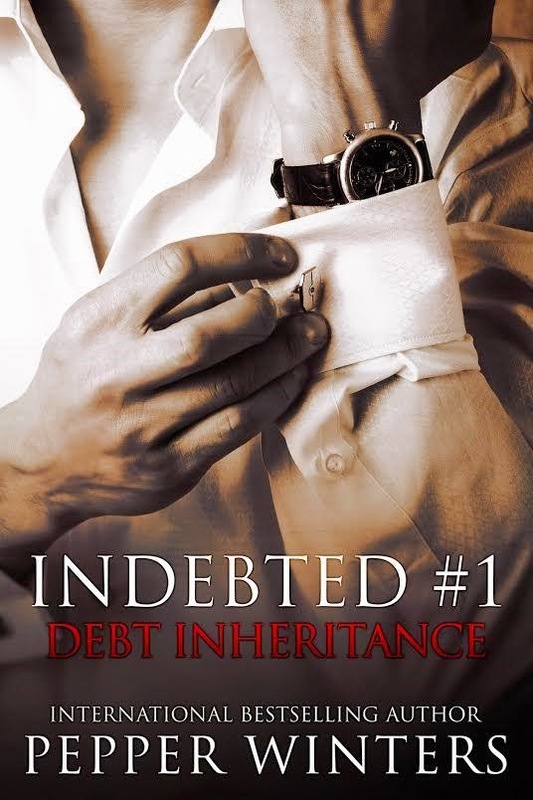 I can't wait to see where the debts go next, and I had a thought that I was right about. Thank God. But the end. Whew. Need the next one NOW! ..... Oh. And the unexpected steam. OMIGOD---->>> going to take a cold shower.